bride n flower girls, a photo by Phoenix Star on Flickr. 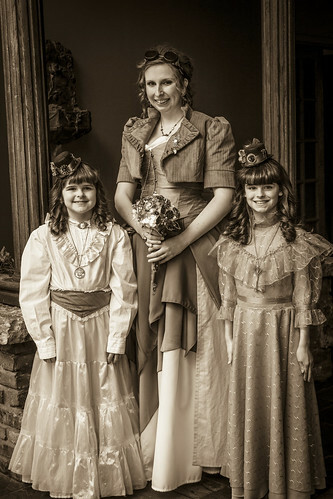 Love the lockets and the Victorian style for this wedding. I knew brisbane makeup artist was good - but on the wedding day, they exceeded my expectations. Thanks!